The World of MEMS; Chapter 2: Basic Fabrication Processes; Chapter 3: Surface Microengineering. 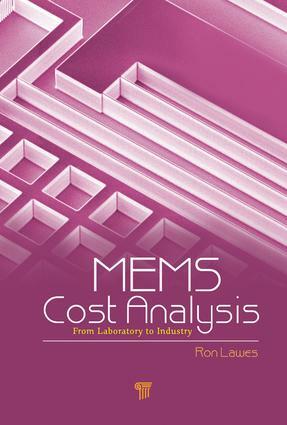 High Aspect Ratio Microengineering; Chapter 5: MEMS Testing; Chapter 6: MEMS Packaging. Clean Rooms, Buildings and Plant; Chapter 8: The MEMSCOST Spreadsheet; Chapter 9: Product Costs - Accelerometers. Product Costs - Microphones. MEMS Foundries. Financial Reporting and Analysis. Conclusions.